New York, NY -Two-time Tony Award-winning legends Patti LuPone and Christine Ebersole join forces to portray the trailblazing cosmetic icons who built empires in a business world ruled by men. Performances Begin March 7, 2017 at the Nederlander Theatre – 208 W 41st St. – New York, NY. WAR PAINT tells the remarkable story of Helena Rubinstein and Elizabeth Arden—fierce rivals who defined 20th Century beauty. In creating an industry, they reinvented themselves and revolutionized how the world saw women. Helena Rubinstein and Elizabeth Arden defined beauty standards for the first half of the 20th Century. Brilliant innovators with humble roots, both were masters of self-invention who sacrificed everything to become the country’s first major female entrepreneurs. They were also fierce competitors, whose 50-year tug-of-war would give birth to an industry. From Fifth Avenue society to the halls of Congress, their rivalry was relentless and legendary—pushing both women to build international empires in a world dominated by men. Patti LuPone (Evita, Gypsy), who “generates more raw excitement than any other performer on Broadway” (The New York Times), and Christine Ebersole (Grey Gardens, 42nd Street), a “first-class, revitalizing master of period style” (The New York Times), go head-to-head in this musical about two legendary women who forever changed the business of beauty. 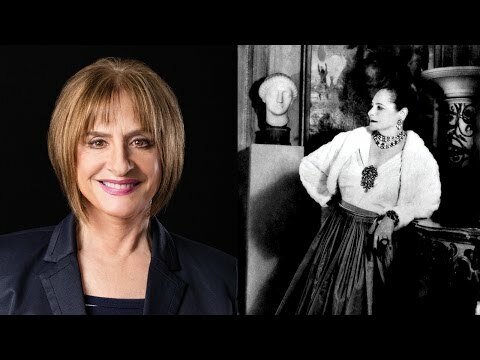 Two-time Tony Award-winning legends Patti LuPone and Christine Ebersole join forces to portray the trailblazing cosmetic icons who built empires in a business world ruled by men.WAR PAINT tells the remarkable story of Helena Rubinstein and Elizabeth Arden—fierce rivals who defined 20th Century beauty. In creating an industry, they reinvented themselves and revolutionized how the world saw women.